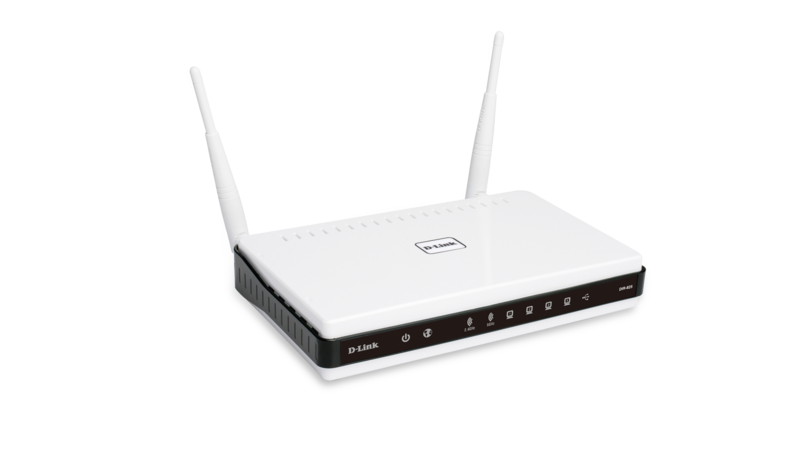 The D-Link Wireless N Dual-Band Router (DIR-825) comes with the dual-band advantage and Wireless N Technology to allow for superior home coverage and smooth streaming. The dual band technology in the DIR-825 supports both 2.4GHz & 5GHz wireless signals simultaneously, so that you can check e-mail and browse the Internet using the 2.4GHz band while streaming HD content and play online games on the clearer 5GHz band. 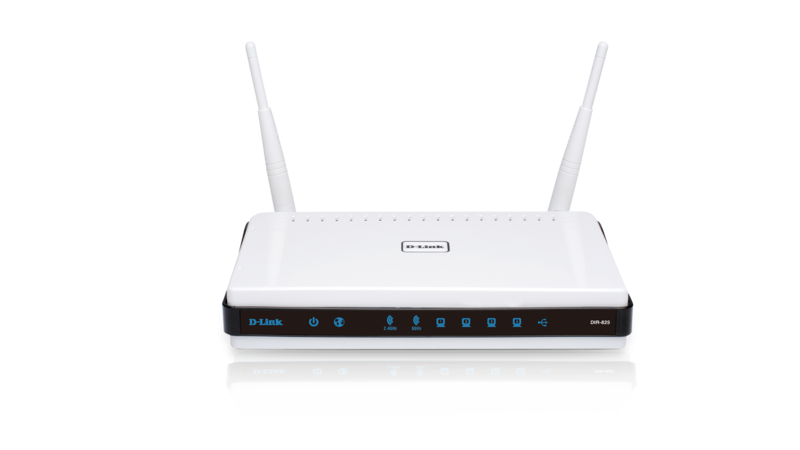 The D-Link® xtreme N™ dual band gigabit router (DIR-825) uses dual band technology to support 2.4GHz & 5GHz wireless signals at the same time. This allows you to check e-mail and browse the Internet using the 2.4GHz band while simultaneously streaming High-Definition (HD) movies and other media on the 5GHz band. The DIR-825 is designed for users looking to get a true HD wireless connection that can handle multiple HD video streams throughout the house, while being backward compatible with existing 802.11g and 802.11a products. D-Link has created shareport™ technology to bring more flexibility to your network. With SharePort technology, you can connect a USB printer and share it throughout your network. You can also share a USB storage device, providing network storage for everyone to share1. With some routers, all wired and wireless traffic, including Voice over IP (VoIP), Video Streaming, Online Gaming, and Web browsing are mixed together into a single data stream. By handling data this way, applications like Streaming Video could pause or delay. With the D-Link Intelligent QoS Prioritization Technology, wired and wireless traffic are analyzed and separated into multiple data streams. These streams are then categorized by sensitivity to delay, so applications like VoIP, Video Streaming, and Online Gaming can be given top priority. This enables multiple applications to stream smoothly to your TV or PC. Delivering best-in-class performance, network security, and coverage, the Xtreme N Dual Band Gigabit Router (DIR-825) is the ideal centerpiece for your wireless network in the home or office. D-Link Green™ devices are about providing eco-friendly alternatives without compromising performance. They are designed to help conserve energy, protect our environment from harmful substances, and reduce waste by using recyclable packaging. 1 SharePort technology requries firmware version 1.01 or later.